Ten years ago, the greatest guild on Mal'Ganis was created. It all started with a group of misfits who wanted to finally get Karazhan on farm. Moving on through SSC, TK and Black Temple, we finished all the content at a modest rate. 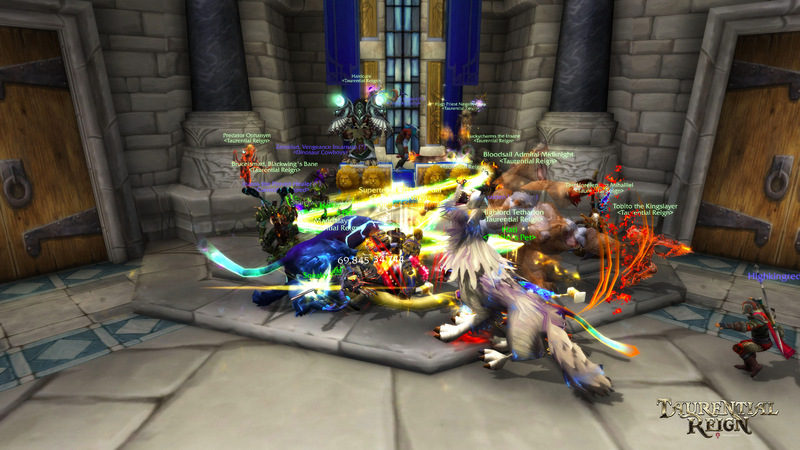 In our first golden age during Wrath of the Lich King, we conquered all normal difficulty raids and did more than half of the fights on heroic and lots of hardmodes. Cataclysm saw a shift in members and some of our friends split off to do their own thing over the course of the expansion. 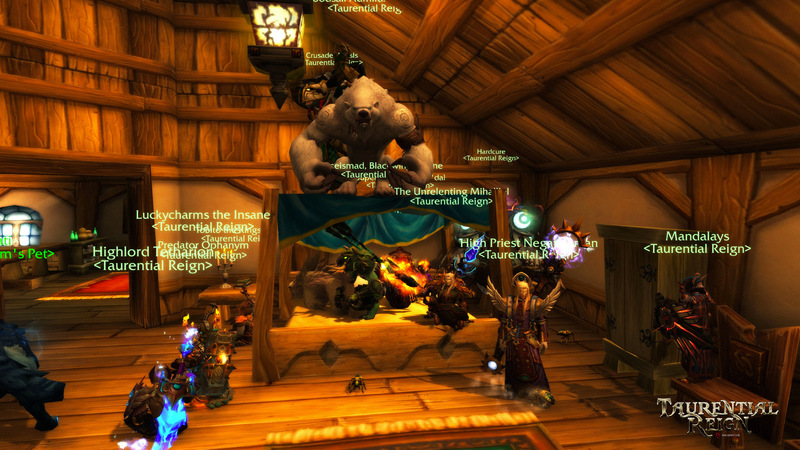 Our renaissance came with Mists of Pandaria, when we recruited some of the best people I've had the pleasure of playing with, clearing through many of the heroic encounters and still having fun along the way. Warlords of Draenor continued some of this success, but by the end of that expansion we had lost a few people to burnout and we didn't achieve many mythics. A long break at the end of that expansion saw the departure of a lot of our players, which we never really recovered from. In Legion, we made decent progress in Heroic, clearing Emerald Nightmare, Trial of Valor and Nighthold, but we never had enough for a mythic roster. A lot of fine people have come and gone over the last decade. Most of us still have characters in the guild because honestly, Taurential Reign is our home, and it's a good home. So it is with a heavy heart that tonight we called it quits. So here's to the end of an era, in our tenth year on Mal'Ganis, and the finest damn guild I've had the privilege of being a part of. I love you all.